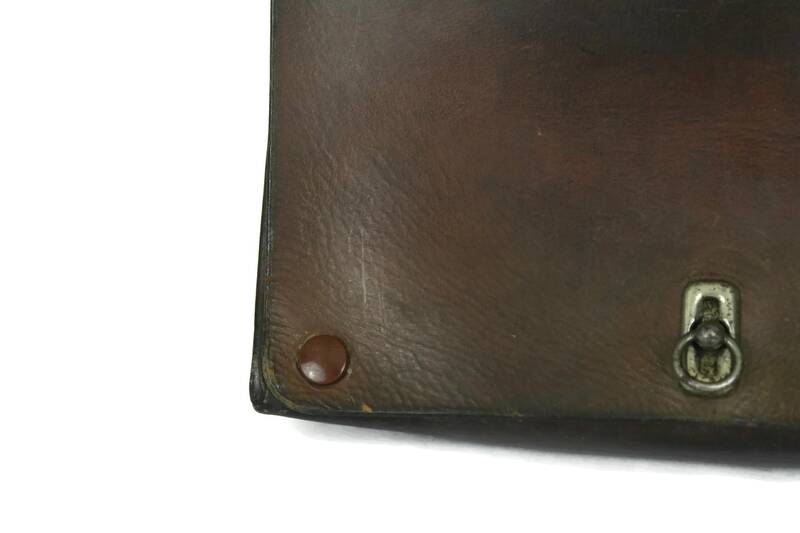 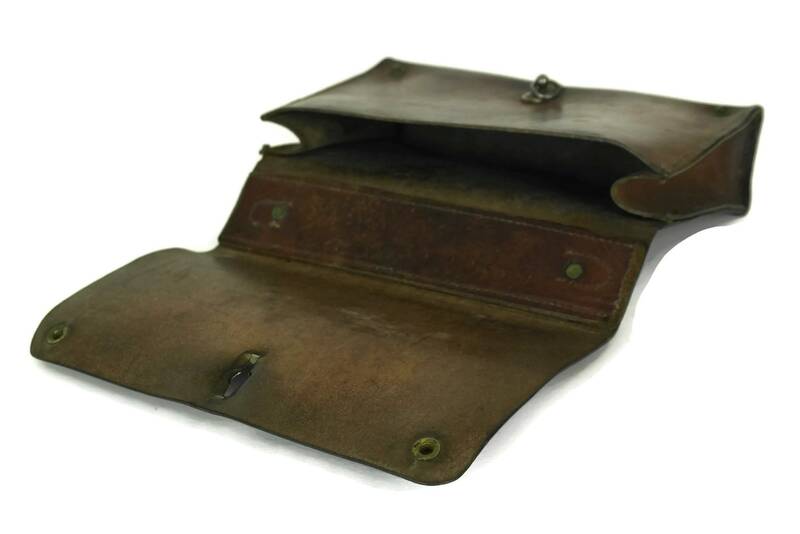 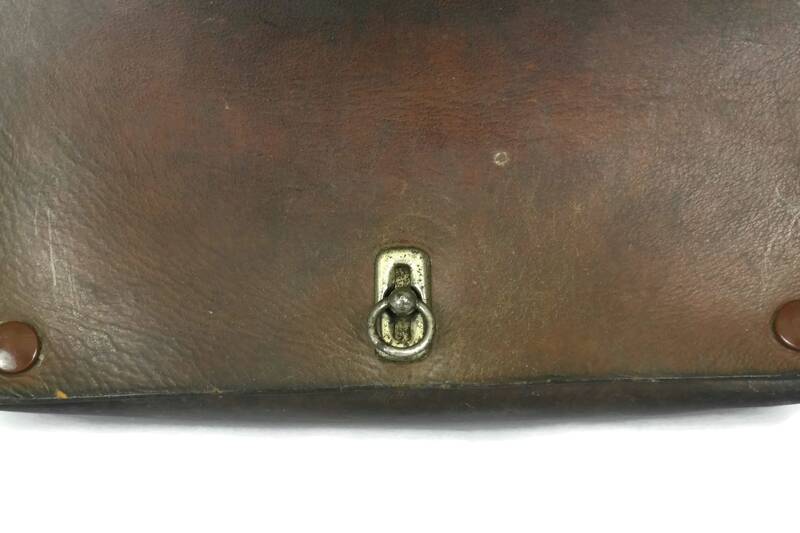 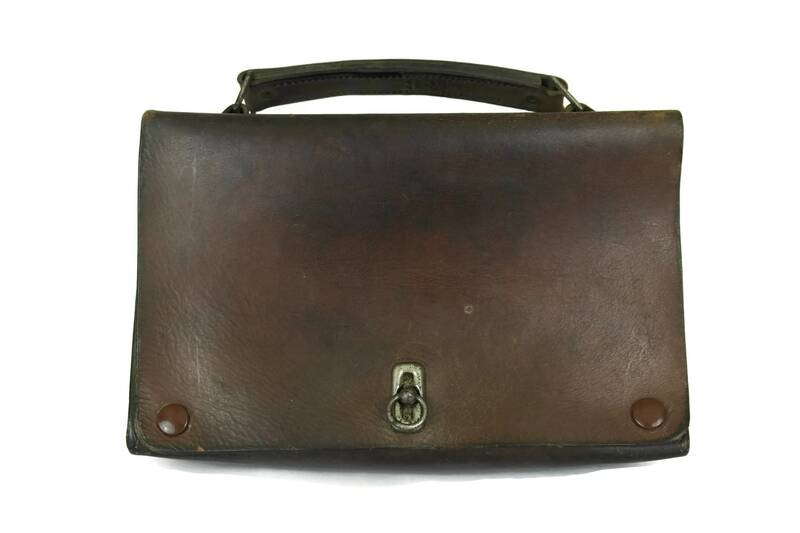 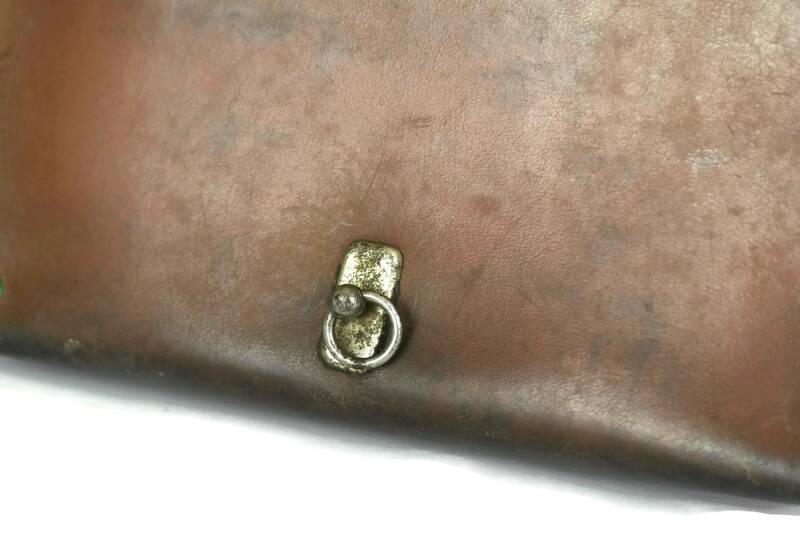 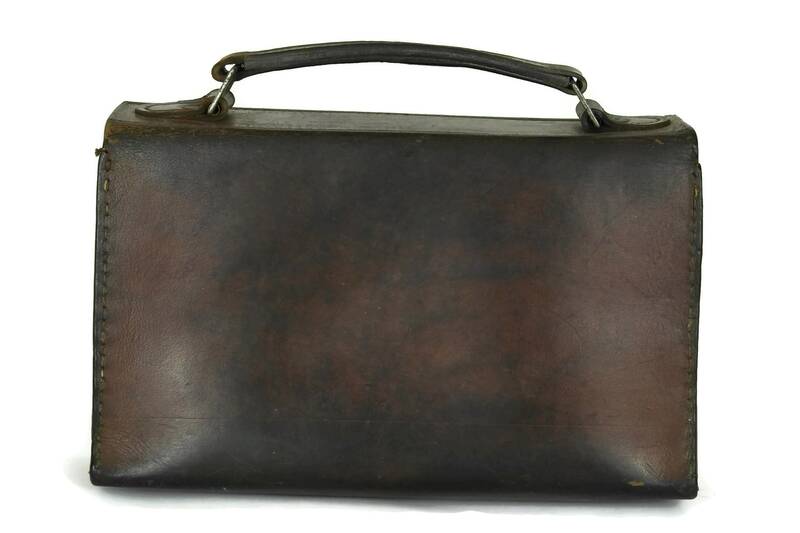 A French antique brown leather purse originally used as a child's school case in the 1940s. 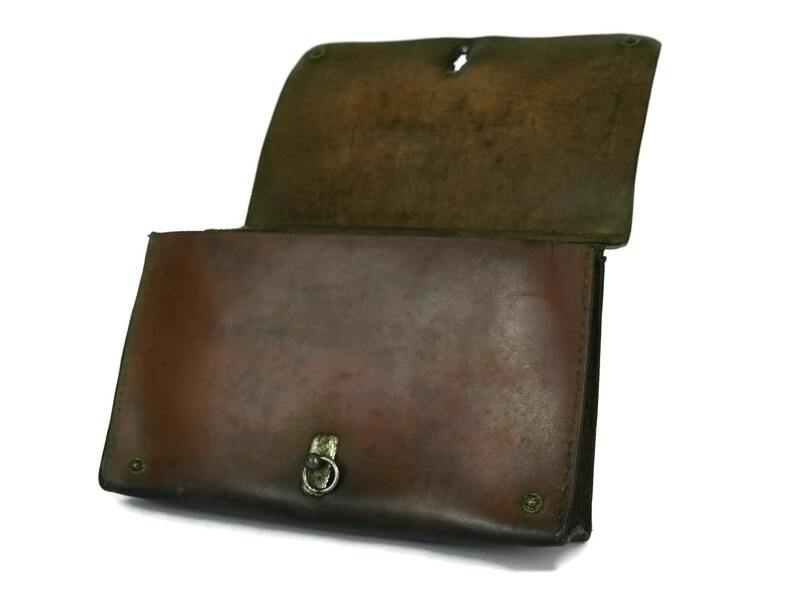 It has been hand crafted from richly tanned brown leather with decorative top stitches. 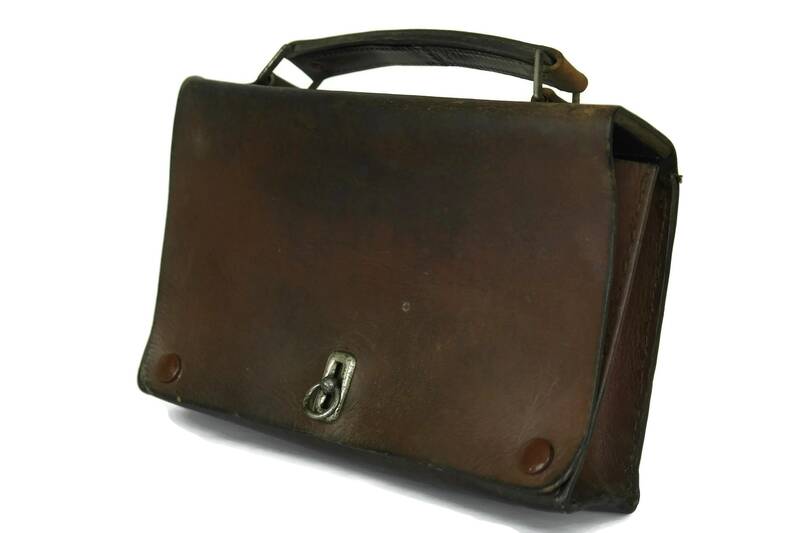 The bag has an elegant form with a carrying handle and the front flap has a decorative clasp with press studs that opens to reveal a single section with gusseted sides. 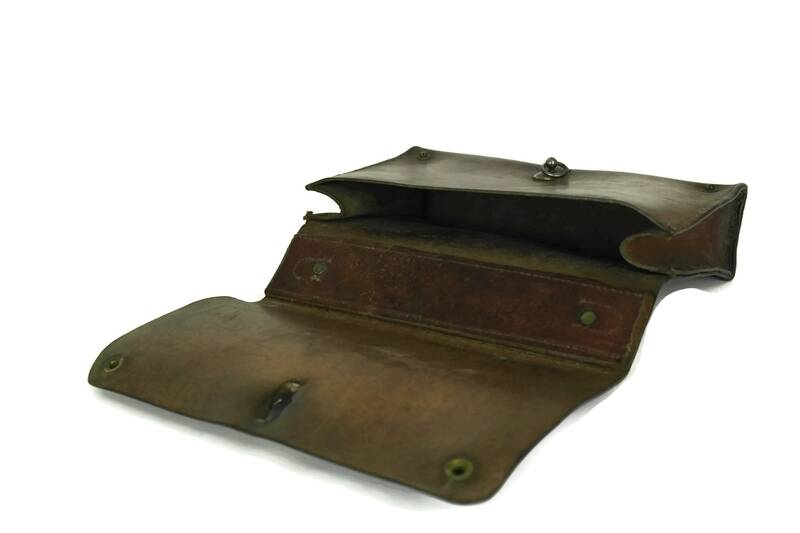 (25 cm x 18 cm x 5 cm). 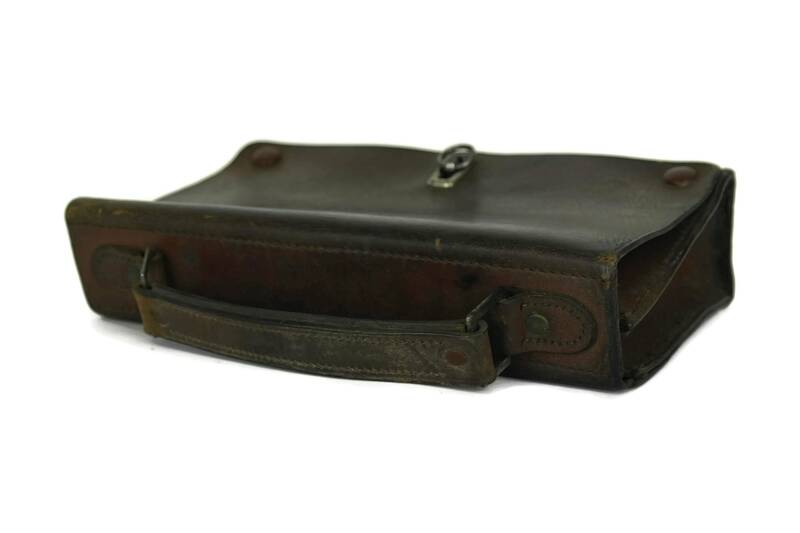 The old school case is in good vintage condition with a rich patina and light wear.